High quality, safe and economical solutions for geotchnical projects. Including soil reinforcement and stabilisation and asphalt reinforcement using geogrids, geocells, glass-fibre grids and associated products. 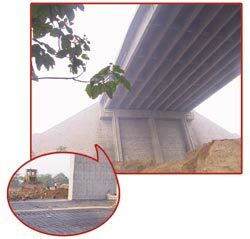 Our Geogrids are manufactured in China to international standards in a purpose-built facility.